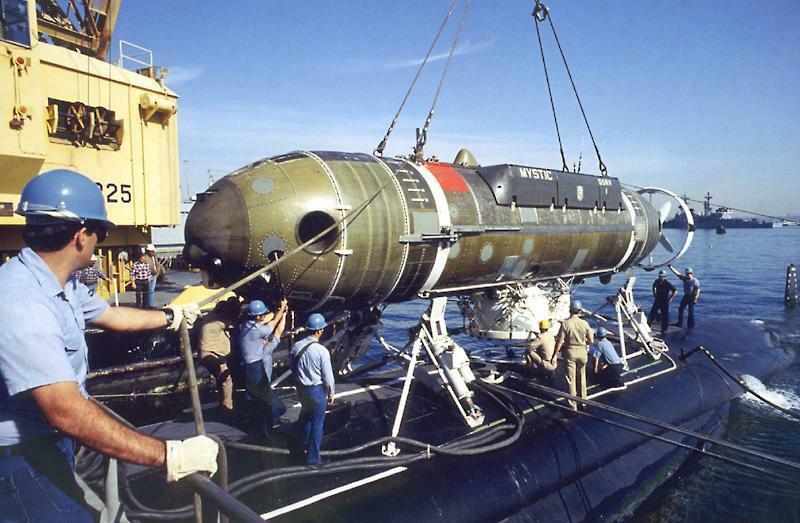 ↑Mystic (DSRV-1), shipboard, being lowered onto deck for transfer, port side view, date and place unknown. Image courtesy of NavSource. 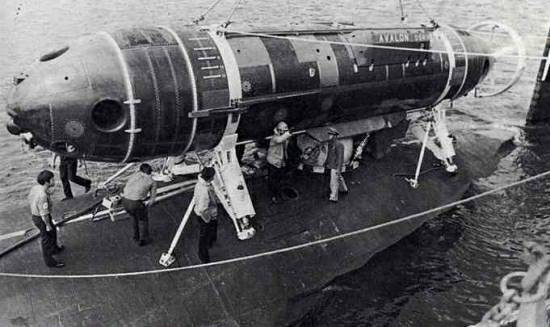 ↑Cut out of the Mystic (DSRV-1). Image courtesy of NavSource. ↑Avalon (DSRV-2), being craned into position. Image courtesy of NavSource.